So with October almost being over, I just had to get this last post in. Okay, it’s not a Halloween post, but it’s something better. 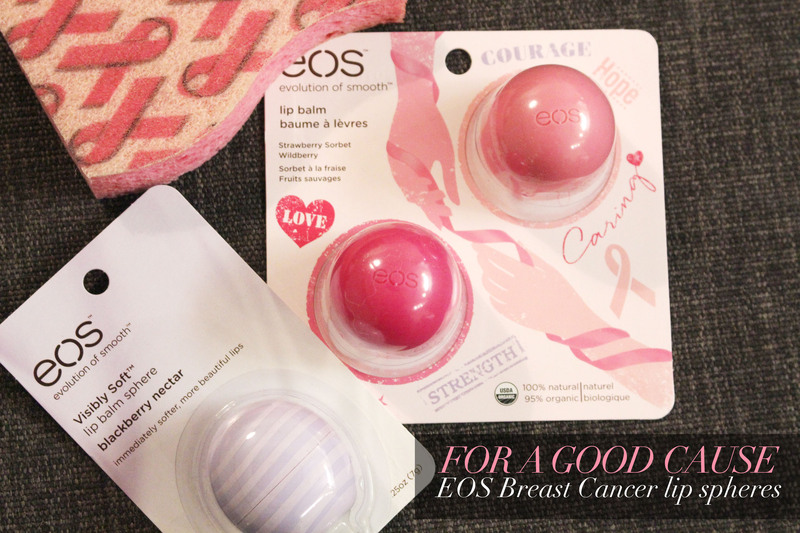 For the past few years, eos has come out with special-edition packs special for breast cancer awareness month (i.e. October). For this year, the company has released a two-pack containing Strawberry Sorbet and the limited-edition Wildberry lip balms. A portion of the proceeds will benefit various breast cancer research organizations including American Cancer Society, Canadian Cancer Society, Memorial Sloan Kettering Cancer Center. Past collections has included the lip spheres and hand balms, however, for 2015 the company has come out with a duo pack of two pink lip spheres in the flavours of Strawberry Sorbet and Wildberry. I’ve talked about these balms numerous times on my blog and they are still one of my favourite lip balms to keep on hand as they so are small and compact (and not to mention cool), that you can throw them in any bag. Seriously. I have one on my nightstand, one in my gym bag, one on my desk, one in my travel makeup bag. Needless to say, I have a lot of these. 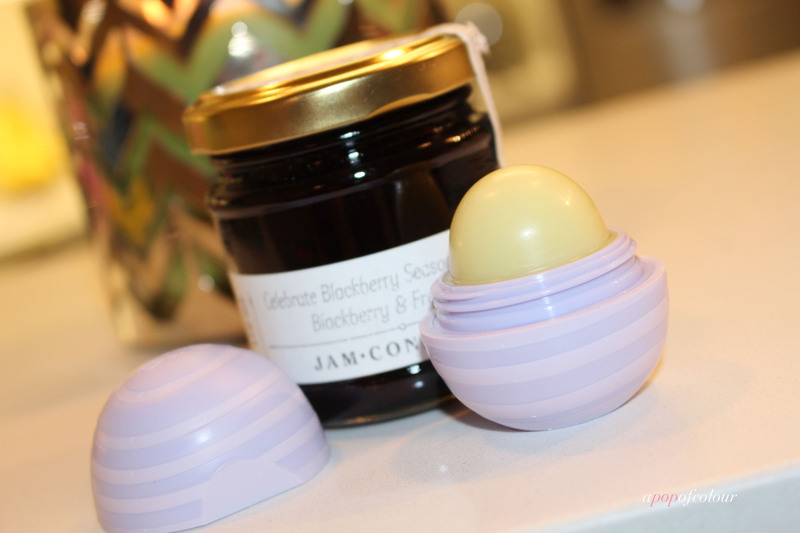 Also new from eos is the Blackberry Nectar flavour in the Visibly Soft line. The brand’s Visibly Soft collection contains hyaluronic acid, a naturally occuring compound, to increase hydration and promote smooth, healthy-looking lips. It truly is the perfect companion as the weather cools (especially here in Winnipeg). eos is always quick to come out with new flavours, and although these are new for fall and limited edition for October (the breast cancer pack), if you missed out on your opportunity to get your lips on these, just wait until the holiday season. I can’t wait to see what they are going to come out with for 2015 (last year was a collection inspired by fashion designer Rachel Roy). 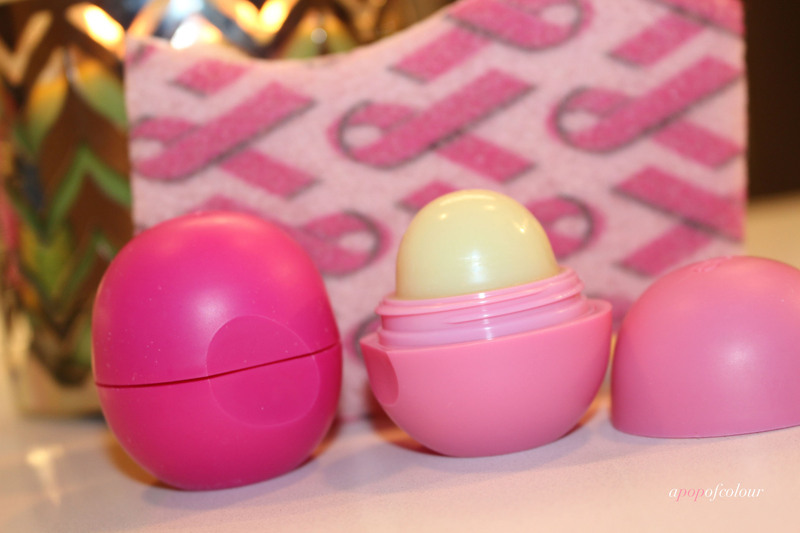 What’s your favourite eos lip sphere flavour?